Dice the orange and grapefruit and put them in the glass. Using a muddler, add the sugar. 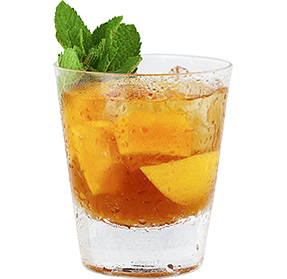 Fill the glass with crushed ice and pour in the Carpano Classico and the soda. Gently stir from bottom to the top of the glass and add a mint sprig.